Your donations are very important! 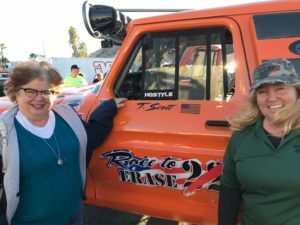 Please donate here! 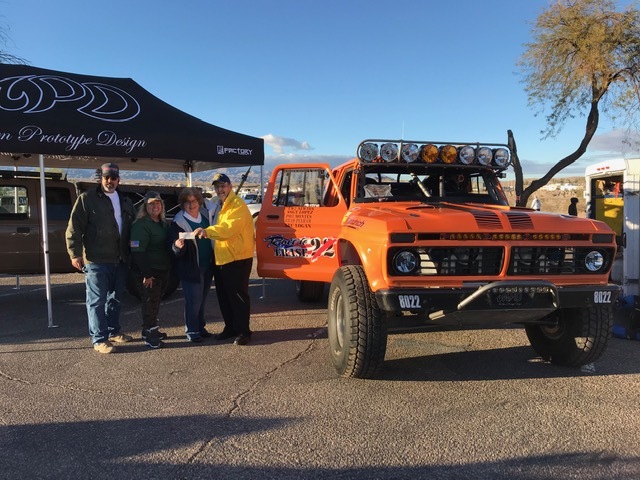 2/15/19 THANK YOU LEWIS KINGMAN CHAPTER, NSDAR FOR YOUR DONATION! 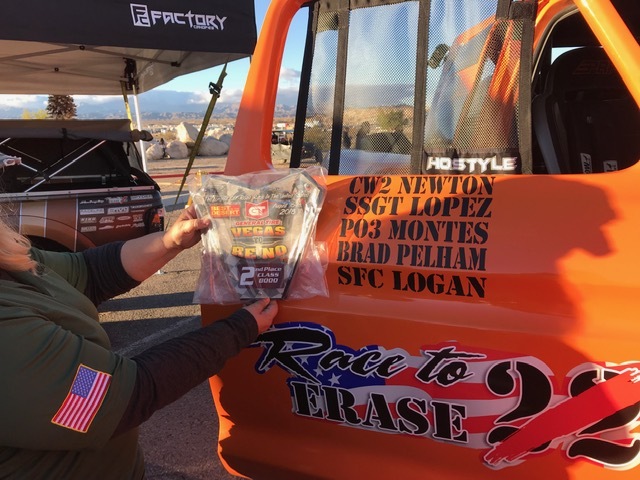 Race2Erase22 is an organization with a mission to reduce Veterans suicides one vet at a time! Casey and Debbie are in this picture. Tony, Debbie Casey and Pat. 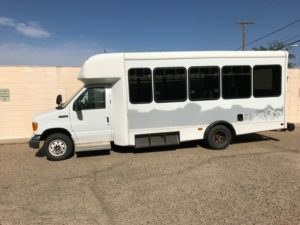 8/18/18 THANKS FOR THE DONATION. THE CREW CREW GETS IT DONE! 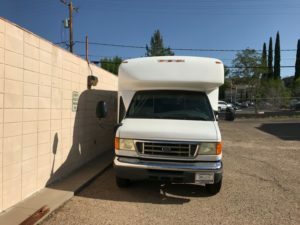 8/2/18 THANKS TO THE ARIZONA LOTTERY FOR MAKING THIS SHUTTLE A REALTY! 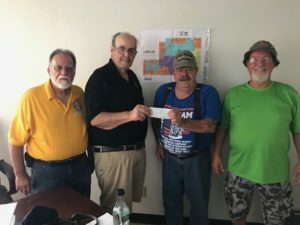 8/1/18 VVA DONATES TO OPERATION 6 ARNOLD PLAZA PROJECT. 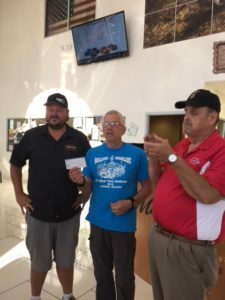 7/20/18 KOREN WAR VETERANS DONATE TO THE ARNOLD PLAZA PROJECT AND THE JERRY AMBROSE VETERANS COUNCIL. THANK YOU! 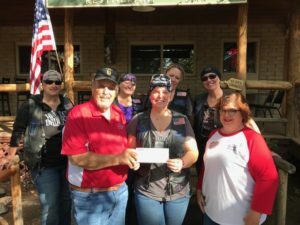 7/15/18 THANKS TO THE SISTERS ETERNAL MC FOR THEIR DONATION! 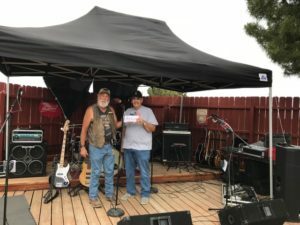 6/12/18 Many thanks to Martin Swanty and the Walapai Four-Wheelers for their donation!! 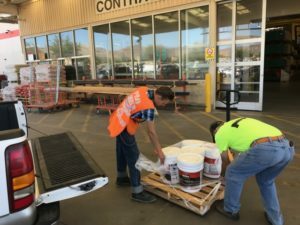 6/8/18 Thanks to BEHR and Jim for donating the paint for the outside of Arnold Plaza! 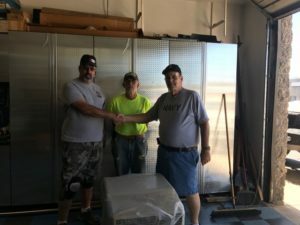 6/8/18 Thanks to R&R Hitches for piloting the Swamp Cooler search! 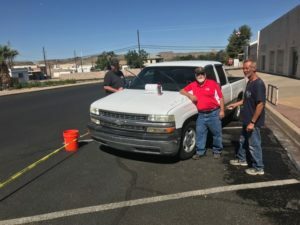 6/4/18 Thank you, Laron, for donation of the truck! 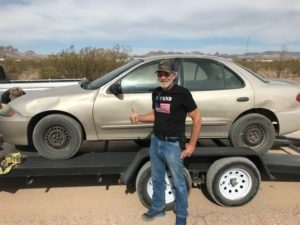 Steve L and his wife wanted the car to be donated to a local veteran in need. 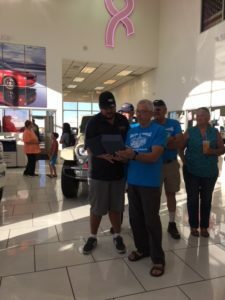 Steve S was selected as the lucky guy and the car has allowed Steve S to gain employment. 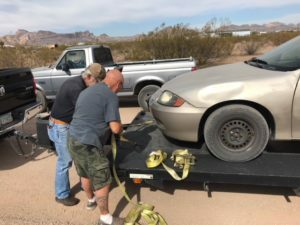 The vehicle was in need of repairs and Ken Hewitt from DES Veterans Employment applied to the Arizona Department of Veterans Services for a “Tool Kit” grant to pay for most of the repairs. 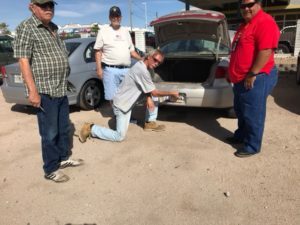 As the repairs exceeded the grant allowance the JAVC picked up the tab for the rest. Christie Lopez of the VFW Post 2555 Auxiliary in Golden Valley makes a donation to Pat Farrell, President of the JAVC. 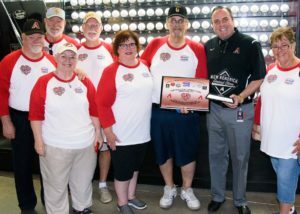 The Jerry Ambrose Veterans Council is a 501C3 nonprofit organization registered with the IRS under the noted EIN: 46-1967830 . 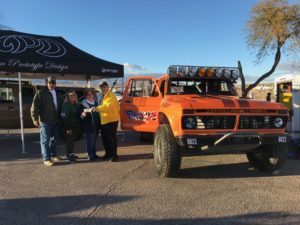 Your contribution is tax-deductible to the extent allowed by law. 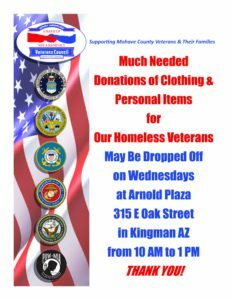 No goods or services were provided in exchange for your generous donation.Please click on the Donate Button to help us help veterans and their families. 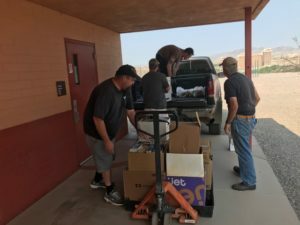 8/18/17: American Woodmark Foundation for donation to Cerbat Elementary and the Jerry Ambrose Veteran’s Council. 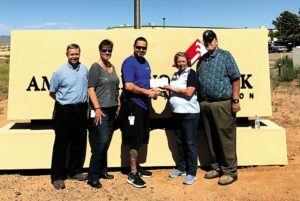 From left to right, American Woodmark Quality Engineer Doug Scholl, American Woodmark Human Resources Supervisor Colleen Daugherty, American Woodmark Team Leader Benny Ruelas, JAVC Women’s Program Director Charlee Long and JAVC President Pat Farrell. 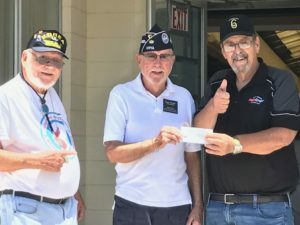 The Jerry Ambrose Veterans Council was presented a check. 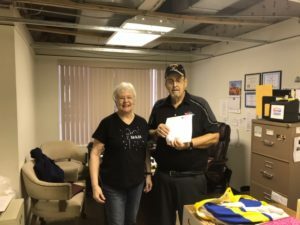 JAVC President Pat Farrell said that money is going toward refurbishing Arnold Plaza downtown. “Every single penny of it,” Farrell said. 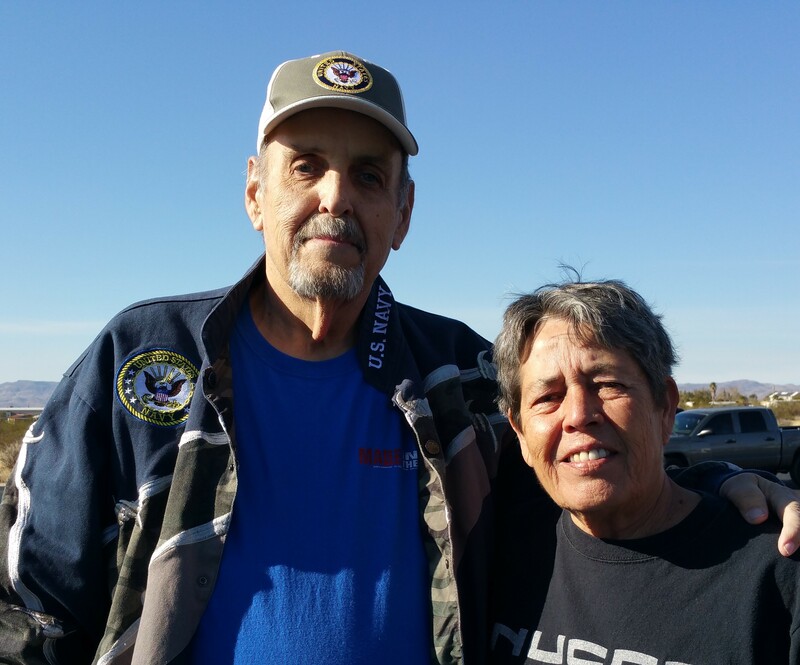 He plans on turning the plaza into a veteran’s center to help homeless and unemployed veterans get back on their feet. Before work starts on the plaza, it must be clean of asbestos and other harmful chemicals. 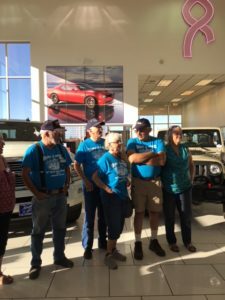 Farrell is waiting on a fiscal year 2018 budget approval from the federal government. Once they sign off on the abatement project, it could begin as early as November. 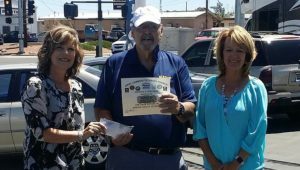 7-3-17: 66 Auto Sales donated to the Jerry Ambrose Veteran’s Council Fund. This fund helps veterans in need to obtain various services and assistance with most of the issues that the veteran or veteran’s family may run into. Pictured left to right: Kari Jo Hill, Pat Farrell and Renai Hill.